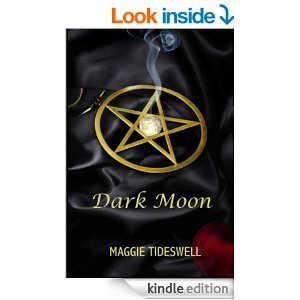 I love the paranormal romance genre! Let’s face it, love really is all around us. Even when you read a murder mystery or a horror novel, there are romantic elements in it, because people fall in love. Even in the most unexpected or dangerous situations, people find each other. It is human nature. What fascinates me about romance is firstly what characteristics attract people to each other enough to fall in love and secondly, what traits keep them in love for a lifetime when one in three relationships fail. This is a throw-back from studying psychology at university. People want to be scared. Fright gets the primitive fight or flight response going. And that is where the paranormal comes in. When I say paranormal, I don’t mean zombies and vampires. Creatures with tentacles and many teeth also don’t interest me. Those are not scary and only have entertainment value as far as I am concerned. Don’t get me wrong, I am not putting authors of those genres down, all I’m saying is that those elements are not what I write about. I am interested in what isn’t visible to the eye, things that go bump in the night, ‘nothing is as it seems’, and witches getting up to mischief or doing genuine work to help. And ghosts, of course. We all have those creepy little experiences of something moving just at the edge of vision and when you look, there is nothing there. Or the sound we hear for which there are no logical explanations. And who of us haven’t know what was going to happen next or what somebody was going to say before it actually happened? This is what is termed deja-vu. People are not always what they seem. It is a known fact that people represent themselves in the best light and what they show to the world is only the tip of the iceberg of their personality. I like to say people wear ‘masks’ to hide their true selves from others, for reasons of their own. But my biggest interest is ghosts and why some people seem to get stuck on the earthbound plane after death. I even joined a paranormal investigation group, but I am yet to come face to face with a ghost I could have a conversation with. I have been told I look too hard and that was why I am unlikely to see a ghost, but I do experience them. On one occasion I had fallen asleep on the couch and I startled awake with the distinct feeling that somebody was leaning over me. There was nobody there, but the room had been freezing. It was the middle of summer. Romance in combination with the paranormal is what I write. Instead of placing my characters in mortal danger of burning buildings, an erratic gunman or in the path of a tidal wave, I scare them with what they cannot see. I have two paranormal romance novels in print, both published by All Things That Matter Press, a small press in Maine, USA. My debut novel, Dark Moon came out in 2011.Chance meetings can have far-reaching effects. Loved ones may not be who they seem. The line between comprehension and confusion is thin, particularly when one’s thoughts are being manipulated by another. 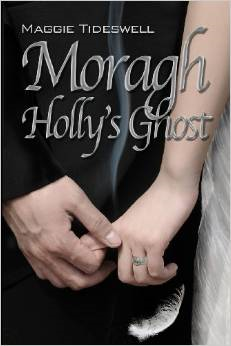 My second published novel, Moragh, Holly’s Ghost (2013) is, well, a ghost story.A marriage of convenience, helpful fey friends, a custody battle that cannot be won and a haunting – could love blossom? Still to come is Roxanne’s Ghost, Poppet Nicole, which is the sequel to Moragh, Holly’s Ghost, and a story set on one of the Portuguese islands off the coast of Africa called Bazaruto, titled Adorable Crook. As I was born in South Africa and still live here, I like to set my stories in South Africa, in and around Cape Town to be specific. South Africa is a country of breathtaking natural beauty, diverse population and many unexplored ghosts. Please follow my Wonderful Words blog for more on ghosts, updates on my books and many other interesting things.